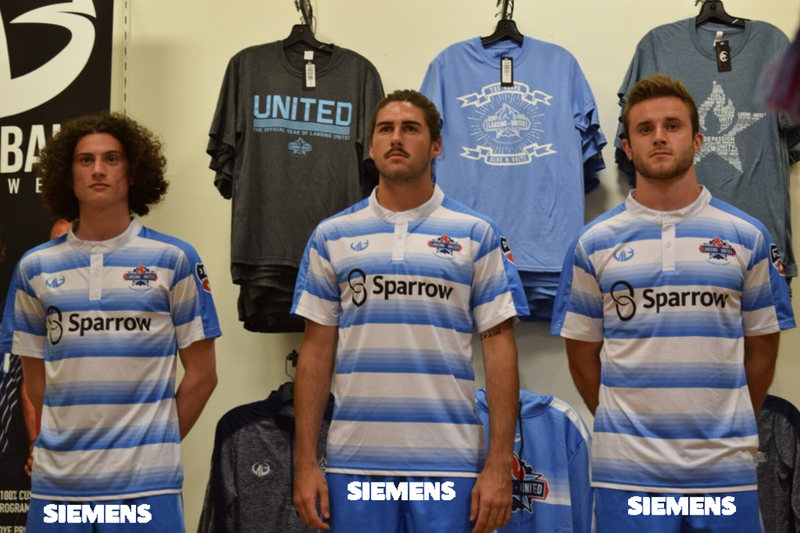 Lansing, MI - National Premier Soccer League (NPSL) side Lansing United announced, today, a bold and innovative shorts sponsorship with industrial manufacturing company Siemens that will be pared with their kit sponsorship with Sparrow. "With the success of our women's kit we started to think how we could best illustrate the same level of sophistication with our Men's sponsors," stated Lansing United director Rob Robertson. "As such, we decided that a new, innovative and bold partnership with Siemens would proudly be displayed on our players shorts. We feel that our players are represented well by Siemens and that this sponsorship is truly be a game-changer in the realm of club sponsorship. There may 11 men out there playing their part, but together we are all Siemens." Insider sources with Lansing United indicate that the club thinks the combination of the Men's and Women's team sponsors will propel them to the top of the NPSL sales records. "Siemens and Milk! What a combination," stated one anonymous executive. The Nutmeg News will have more of these juvenile jokes at a later time.